The Do's and Don't's of Going to the Rochester Drag Show Tonight! The Do’s and Don’t’s of Going to the Rochester Drag Show Tonight! Rochester's Pride Weekend started last night and it's going all weekend! 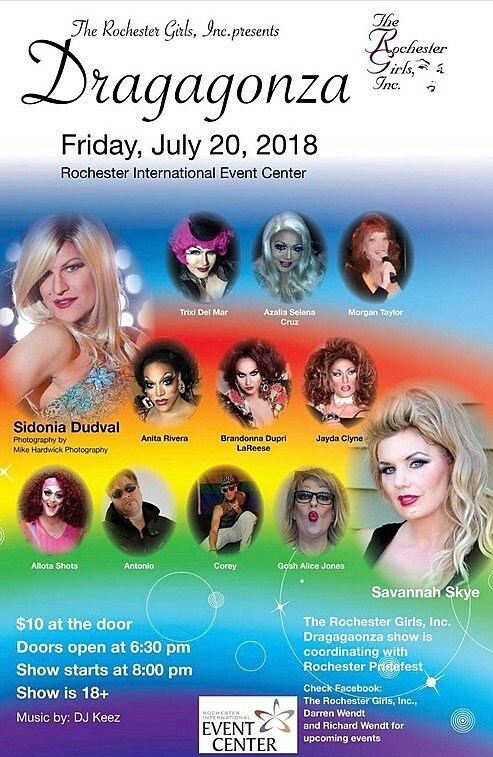 Two great events happen tonight, the “Rebel With a Cause” Youth Prom at Rochester Public Library and the "Dragagonza" Drag Show at the International Event Center. Doors open at 6:30, the show starts at 8ends at 11:30 p.m. Come out and support the queer community this weekend! I had a great conversation with the MC in tonight from the Twin Cities, Morgan Taylor! Click play to hear it. What are some do's and Don't of going to a drag show? It's an 18 and up show, so while there's alcohol there, there will be plenty of people not drinking, so do feel welcome to do either. Do listen and understand if someone corrects you about a pronoun or name. Do click the poster to get a large version for all the details! Tip! The drag kings and queens spend their own money preparing a performance wardrobe, they look amazing and every bit helps. Feel free to make it rain! If you don't want to tip as they're on the catwalk, walk up to 'em later, and hand over da cash. You. Be. You. This is a safe space. If it is your first time, let someone know so they can fuss over you! Everyone 18 and up is welcome. Everyone. LGBTQ or not, doesn't matter. You. Are. Welcome. I'm serious about it being a safe space. I've been to a LOT of drag shows, you will find love, acceptance, excitement, fun, and no judgments (unless you're a jerk-head-crap-face and are super rude, then, yeah, there might be some judgin'). Talk to people! It's the best way to have fun, make new friends, and show support.